Shannari has survived her enemies’ plots long enough to return to the Plains with Rhaekhar, but their new life together will not be easy. First, she has to get through a wedding ceremony that will make both him and his personal guard, Gregar, her co-mates…without anyone dying. Since both she and Gregar are Shadowed, that may prove to be an impossible feat. Tensions redouble with her return and Rhaekhar is further away than ever in uniting the Nine Camps of the Sha’Kae al’Dan. His enemies have the perfect weapon to use against him: his outlander woman. And no matter how far she is from the political–and deadly–waltz of the High Court, her destiny drags her step by reluctant step to Shanhasson. The road back to Shanhasson is thick with shadows and stained with blood. How many of her loved ones will die in her fight to claim the Rose Crown? 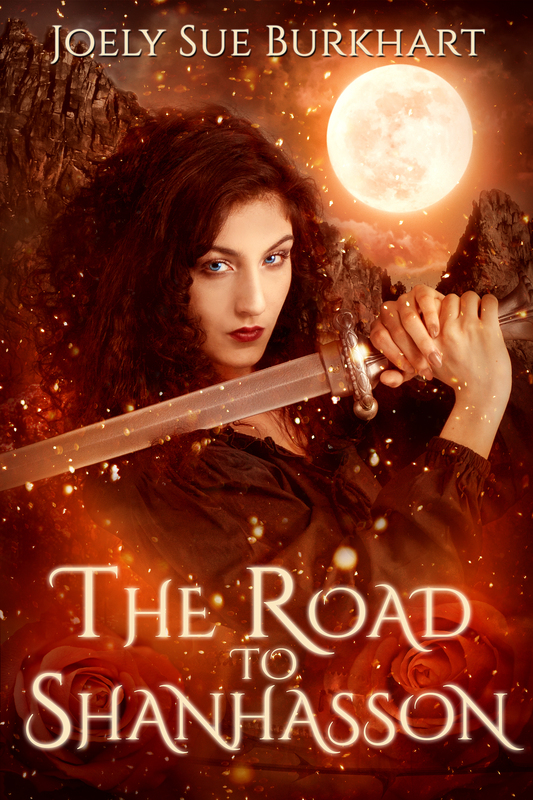 Like Rose, I highly recommend The Road to Shanhasson for every lover of Romance, Fantasy, or even better, both. It has just about everything you could possibly want in a book with characters you love (and love to hate! ), who make you jump for joy, laugh out loud, cry your eyes out. Heather, I don’t know — let me check with my editor and I’ll get back to you.